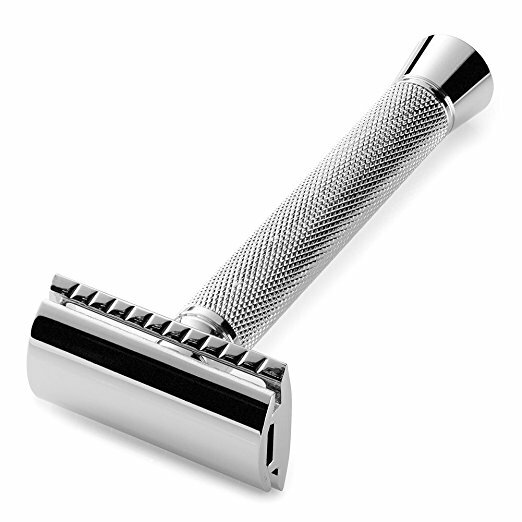 In addition to its firmness, the DE Safety Razor for Men has a sleek design and gleaming chrome finish, which enhances the look of the vanity. Its look also makes it a luxurious gift that will not go unnoticed. With no cords or batteries to hold you back, this premium shaving tool is quick to use and easy to pack and carry with you on the go: Business, family and holiday travels! If you don’t enjoy the most comfortable, smoothest, closest shave of your life, we will send you your money back (as per Amazon return policy). Order yours today and experience the Perfecto difference!